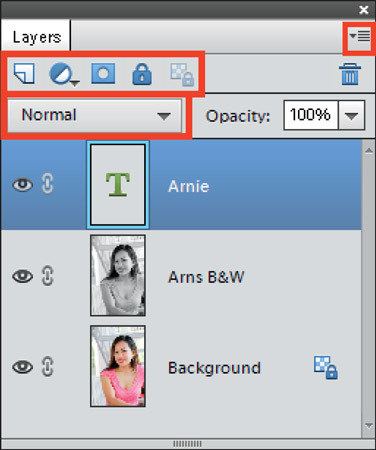 The Layers panel contains tools, a menu icon, and a pop-up menu. Elements 14 still doesn’t support recording your own series of editing steps and capturing the steps as an Action. However, most of the Actions that are created in Adobe Photoshop can be loaded in Elements. You can find a number of free downloadable Actions on the Internet. 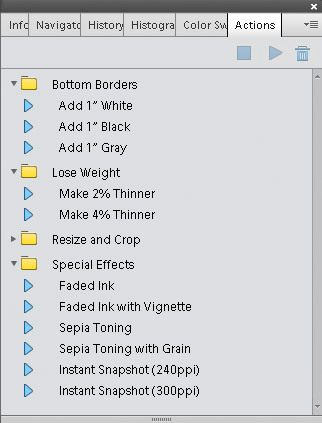 Just search for Photoshop Actions and explore the many downloads available to you. Check here for step-by-step details on how to load Actions. Histogram: Open this panel to display a histogram of the photo in the foreground. 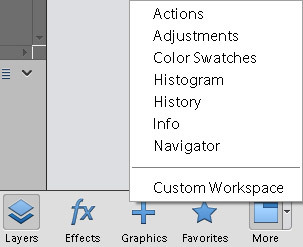 Custom Workspace: When you choose Custom Workspace, a new feature in Elements14, you can dock and undock panels. This option enables you to configure a custom workspace to your liking.